how to choose a financing option given your unique situation. 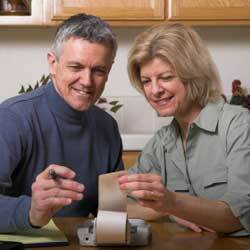 Often people wait to take steps to create a financing plan for long-term care. However, people who address this issue earlier can investigate different strategies for paying for costs, take advantage of time in order to save, and have lower insurance premiums if they decide long-term care insurance is a fit for them. Increasing your understanding of the components of a plan to finance long-term care is a great way to start! To begin learning more about financing to long-term care, listen in on this conversation.